Do you enjoy solving puzzles, mysteries and treasure hunts? Want to win a special edition of Treasure Island or a signed copy of Greenwood Tree? Follow the Tale of the Mad Gorgon, from the High Seas in the days of 18th century piracy to a not so innocent countryside manor house in the 1920s, in a mad hunt for buried treasure – but can Julia find the treasure before any more murders are committed? Can you? And now for episode 6 . . .
‘Silly little fool must have making her face up again and didn’t realise somebody was right behind her.’ This from her cousin Roderick, showing typical familial restraint, combining distress with mild insult. The doctor and the constable were called for; nobody was allowed to leave the house, and later the next day, Inspector Lovell arrived from Scotland Yard with assistant in tow. Questionings followed; nobody was anywhere near the gallery; nobody saw anyone come in or out of the house – but the back entrance had been left open some considerable time, through which an assailant might have been able to enter, steal upstairs and attack Abigail. ‘Had she followers? A fiancé? Jealousy perhaps ….’ Abigail had had any number of men chasing after her; ‘whether any of them would have the energy to be actually jealous enough to kill her though, is quite another matter,’ commented Roderick, ever with cousinly concern. Suggestion was made that a vagrant had broken in, and been surprised in the act of purloining valuables by Abigail. Nobody mentioned the treasure hunt, by some form of tacit agreement. Julia did not realise until after the Inspector had left, and raised concerns about it. ‘No, dash it all, if we even hint at it, they’ll put a stop to the whole thing – let us finish the hunt at least and then we’ll see..’ was the only response she got. Julia returned to the gallery, convinced more was to be found. Abigail had been found lying in the middle of the floor, mirror in hand … and … Julia scanned the area and spotted a dash of white. A piece of paper; torn off a page or a notebook. Notebooks were not something one would normally associate with Abigail. It might just be coincidence after all. Julia looked around the walls. On the one side, the portrait of Captain Redheart – on the other, the Italian copies. She looked from one side to the other, then walked up to the portrait and began to study it. A little while later, she returned to the other side to look at the Da Vinci engraving. Dinner was a sober affair; Laetitia had soup and sandwiches made, and left the table early. Abigail had hardly been a favourite of hers, but even so – two deaths in less than a week was a little more than she felt entirely comfortable with. 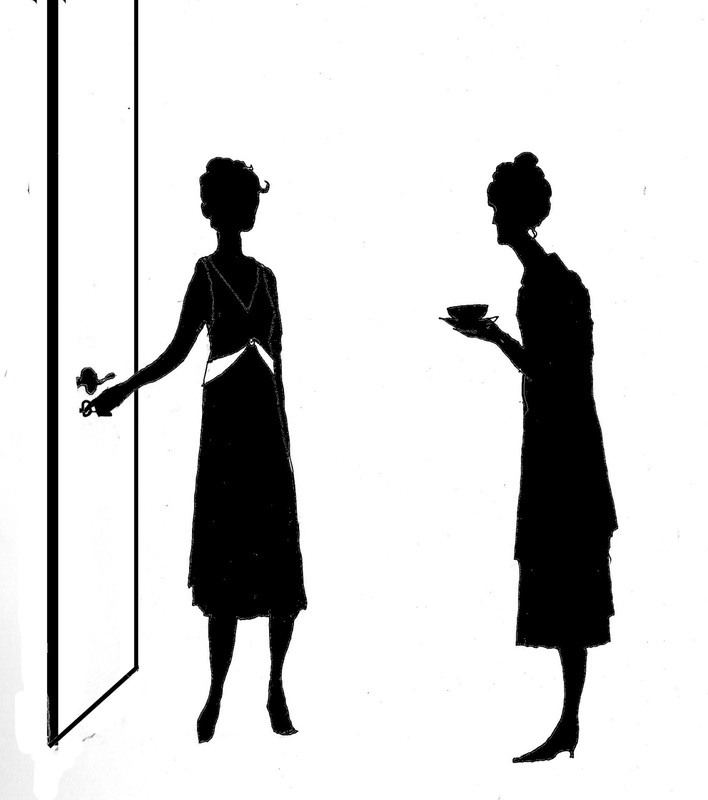 She locked her door and advised Julia to do the same. ‘Whoever it was, mad or not, we don’t want a repetition,’ she said as she went upstairs. Julia followed her advice, puzzling over the various events. The painting was surely the clue to the whole affair of the hidden treasure. She considered what she had seen for herself in the portrait: Captain Redheart in red coat, holding a sextant in one hand, with the other placed on the scroll with the strange symbols; the window with the statutory red curtain drawn back, and the Mad Gorgon Folly in the garden beyond. Ruminating on various possible solutions, she drifted off to sleep. Breakfast was a make-piece affair; people drifted in and out, and nobody realised Eugene Orb was absent until lunch time. It took a little searching to discover him in the library, stabbed with an Oriental paper-knife from Ezrard’s writing desk. He was holding a sextant; gripping it, in fact; the doctor was unable open the fingers. Rigor mortis had set in some considerable time before: ‘I would say he died in the early hours of the morning,’ was the doctor’s diagnosis. ‘I don’t suppose anyone would care to explain about the sextant?’ enquired Inspector Lovell heavily on his second visit to the house. ‘Nobody ? I thought not. Constable Gormley has informed me of the treasure hunt, he thought it unlikely that anyone would have such poor taste as to continue it.’ Lovell paused for effect before adding: ‘How very trusting of him. He will be so disappointed when I tell him. Needless to say, you are all advised to desist immediately in any such activity . I shall conduct a second round of interviews in the study.’ And holding his hat in hand, he marched across the hall floor, followed by assistant and James. Naturally, Inspector Lovell’s warning was ignored – the hunt simply became more furtive and circumspect. There were few at dinner that evening, which made the rest of them rather ill-at-ease and jumpy. Only Laetitia, Julia, Rebecca and Roderick. Laetitia excused herself early on and made her way upstairs, drooping a little; Julia accompanied her to her bedroom door. ‘That was kind of you, my dear. I hope to feel better in the morning; I wonder where James has got to… and that rogue Hubble; never could understand why Ezrard invited him here – not as though he even liked the fellow. And where has William got to ? I do hope we are not in for another unsightly corpse on the carpet. 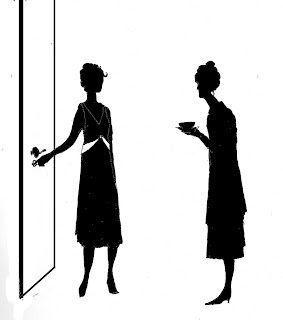 The stains are a devil to get out…’ Wearily, Laetitia patted Julia on the shoulder and retired with her cup of camomile. You can discover more about author, B. Lloyd, and her books here.